Adverse conditions can sometimes produce remarkable results. Take the Oyster for example. When a grain of sand gets into its shell, it secretes a shell like substance (nacre) to coat the intruder. Over time, this process results in the formation of a Pearl, one of the World’s most treasured jewels. The same can happen in business. An adverse circumstance or the lack of a vital resource can cause beneficial adaptation. 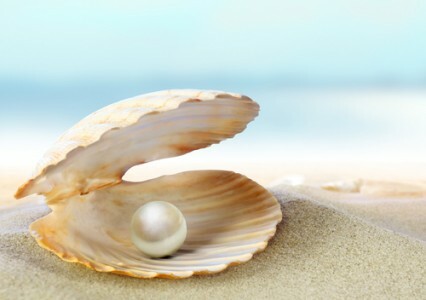 This is essentially what happened to BioIT Solutions (The Oyster) and why we created the BioIT Platform (The Pearl). But what, you might ask, was the Grain of Sand? We were working for a large company and did not have direct access to the production servers. This meant we could not release a new version of our system without going through a rigorous change management process. The process was so rigorous; we could only make 3 or 4 system releases per year. Combine that with our scientific customers shifting business practices and we risked becoming irrelevant. We needed a way to pivot quickly. The answer was to extract the business rules out of the source code and make them configurable “objects”. We developed a series of “engines” that could interpret the configurable objects and generate the necessary user interface. This meant we could change the application logic and user interface dramatically without programming. Now, when a new requirement was levied, we could support it immediately. The Grain of Sand turned out to be the change control constraint, combined with the need to adapt quickly. But what does this adaptation mean to our customers? It means savings. We can build a robust application in one quarter of the time it would take if coded from scratch. It means agility. Our customers don’t have to wait for computer system improvements. It means best practices. Our customers all benefit as the platform improves. As the pace of business accelerates, firms that can adapt quickly will thrive. And firms that overcome challenges may well create tomorrow’s innovations. Maybe that obstacle you face today is really a Grain of Sand. And tomorrow you will find a Pearl.